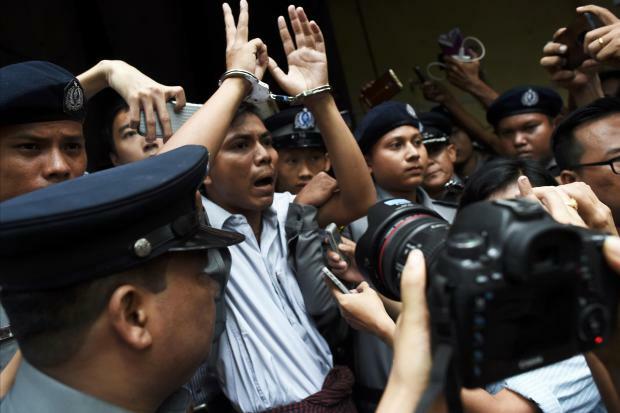 Myanmar journalist Kyaw Soe Oo (C) is escorted by police after being sentenced by a court to jail in Yangon. File photo. The two men - who were not present for the decision - have insisted they were victims of a police set-up, pointing to testimony from a serving officer who said a superior ordered others to entrap them.